Even at this late stage in the Brexit process, the UK still needs a reality check. It beggars belief that in January 2019, only two months from Brexit day, there are still infinitely more questions than answers in relation to what type of Brexit the UK wants – if indeed it still wants Brexit. This week, the British Parliament rejected Prime Minister Theresa May’s draft Withdrawal Agreement with the EU, and no one knows for certain what comes next. Mrs May will attempt to consult with other party leaders to find a parliament consensus for a second vote. Again, it beggars belief that this process is only happening now, but better late than never. There is precious little time left to sort out this mess, and if a breakthrough is to happen, UK politicians need to get over their unwillingness to acknowledge certain uncomfortable truths. Facts are still thin on the ground in parliamentary debates in London. Too many Conservative MPs continue to peddle the toxic lie that a hard Brexit would be the best outcome for the UK. It would not. 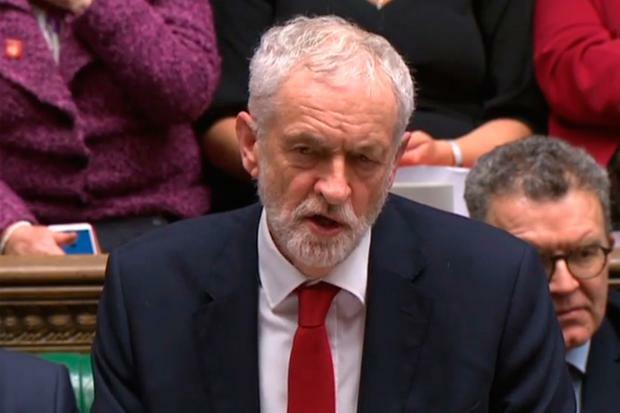 The leader of the opposition, Labour’s Jeremy Corbyn, continues to claim that if he became prime minister he could negotiate a better deal with the EU than Theresa May. He could not. And Mrs May herself continues to be trapped within the boundaries of her own red lines, claiming that the 52pc of British voters who supported Brexit wish to leave the single market and customs union. They do not – or at least, we cannot say for certain that they do. The Conservative government interpreted the referendum result as a desire for the UK to curb immigration while gaining the freedom to forge its own trade deals around the world. This would allow the UK to “take back control” of its destiny, voters were told. The most outspoken Brexiteers believe that Britain must free itself from the dirigiste shackles of the EU and join forces with the most dynamic growing economies in the world such as China, India, the USA and Australia. But this false gold completely ignores the reality of trade negotiations. Every one of these global players would negotiate hard and demand concessions from the UK. India would likely ask for an increased number of visas to Britain. Donald Trump would surely pursue his protectionist policy of ‘America First’, demanding UK market access for lower-standard US goods, notably food products. Frankly, it would be impossible for the UK to secure deals that provide as many benefits as the ones it currently enjoys as a member of the EU. UK government research concludes that even if Britain succeeds in striking trade deals with all these key partners, they would not compensate for the loss of trade that flows from leaving the EU. Until these hard facts become common currency, it is hard to see a way through the deadlock. If Mrs May rolled back on her red line of exiting the customs union, most of the outstanding obstacles to a deal would be swept away. It is high time she marginalised the extremists within her own party and worked more closely with other parties across the Westminster aisles. More mainstream UK politicians need to drop the fanciful rhetoric and start speaking the plain, unvarnished truth. Then, at last, we might be able to find a way out of this messy situation. In the meantime, we should count our blessings that Ireland remains at the heart of the EU. In the two years since Article 50 was triggered, the EU has signed very positive new trade deals with Japan, Canada and South Korea, with more on the horizon. These deals will benefit Irish businesses, particularly in our agri-food sector, vindicating our decision to fasten our colours to the EU mast, even as our closest neighbours sail uncertainly into the future without any compass.